This semester I have returned to teaching an upper-level course that explores Biblical themes in Western culture through visual arts and music, although the focus of the course is on literature, including novels, poetry and short stories. Such material has had a popularity across campuses, but that is changing. Overall, courses dealing with religious themes in literature and, in fact, the humanities in general are experiencing a significant decline in enrolment. Mount Allison, along with many other undergraduate institutions that have focused on a broad liberal education, is facing the challenge of changing interests. Students are seeking course offerings and programs that are more job- or career-focused, and fewer are pursuing majors in the general humanities. But the era of the humanities is far from over; we should still be encouraging students to consider the virtues of such study. The humanities provide the opportunity to consider the human condition, often from the experience of others. Literature and history allow us to consider the many dimensions of the human condition and conditions; philosophy, classical studies and political theory allow us to contemplate the nature of meaning and existence, but these are not simply academic studies. They open us up to contemplating the way in which we might live in the world. As we think about meaning and ethics and life, we cannot help but to think about ourselves and our place in the world. We probe stories of the suffering of others, and we make sense of our own. It was Viktor Frankl who noted that “In some ways suffering ceases to be suffering at the moment it finds a meaning.” University humanities courses are uniquely positioned to engage in the process of pursuing meaning – to create, in Nietzsche’s words, “whys to live for.” I tell my class that I want the stories and paintings and music they encounter not just to be objects of study, but the subject that impacts them, transforms them, and makes them who they are in charge of becoming. Such can be the case with the story of the Joad family in The Grapes of Wrath. This work is an opening into American history, social responsibility, and economic theory, drawn through the use of biblical archetypes that are timeless human stories of love, hope, migration, promise, struggle, death and more. In some ways, the story of the Joads might find even more resonance in our current world state, with the forced movement of masses of people, refugee crises and political leaders who would restrict migration. Steinbeck’s condemnation of greed and injustice, and the struggle of people to survive, might be even more apt in the current time of disordered governance, uncertain directions and divided people in the United States. Former president of Yale Richard Levin, in his book The Work of the University, writes of the study of literature that more attention is needed towards the seriousness with which authors confront what it means to be human. In this, it cultivates the intellect and expands our capacity not only to reason but also to empathize. I joked with colleagues as we assembled for Commencement earlier this fall that perhaps the single biggest argument for the liberal education is that without it, we might end up as president of the United States! Our world needs empathy, consideration of the human condition, self-awareness, combined with reasoned and measured thought and understanding of our world. Such are the outcomes of the rich study of the humanities. Henry David Thoreau claimed that to be a philosopher is not merely to have subtle thoughts, nor even to found a school, but “to solve some of the problems of life, not theoretically but practically.” The exploration of the past, the consideration of great works of art, the reading of literature and there to encounter the human condition – broken, hopeful, resilient – in short, the study of the true, the good and the beautiful, can open our imaginations and lead us to action. When we discuss the value or utility of a university education, we should not be too quick to dismiss the humanities, as the value is not only to the one taking the course, but to the world around them. 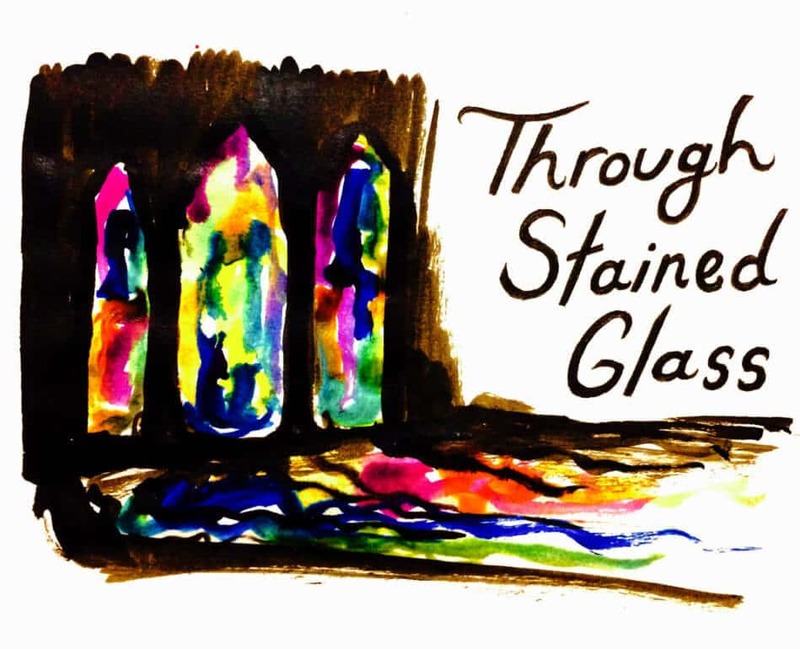 Despite declining interest and enrolment, the humanities still have value, and, through those who are transformed, they will still make a difference to the world, as I see it through stained glass.